In the competitive shopping space, retailers are duking it out for customer dollars and loyalty, both online and off. Traditional tactics are no longer winning in a world where consumers, armed with ever-growing expectations and power, want relevant, personalized, seamless experiences — even if they are in a brick-and-mortar store. Forward-thinking retailers are turning to high-touch tactics, using the latest technology, to strengthen customer experiences with rich product content and real-time connections that engage shoppers all along the buying journey. 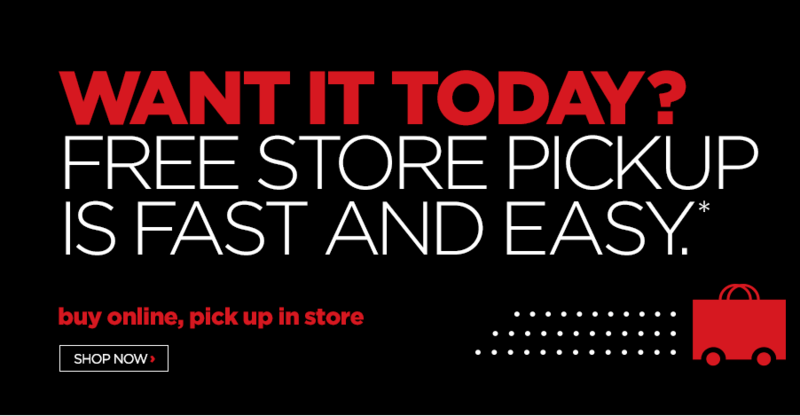 1) In-Store Apps. 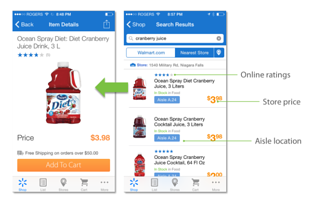 At Walmart, a big investment in mobile apps has paid off: customers using it shop two-times more in the store than the average shopper — thanks in large part to its in-app payment system but also it’s other in-store mode features including product search that tells shoppers where an item is located down to the aisle, as well as exact shelf and bar code scanning to see a product’s price and online availability. And at Nordstrom, the mobile app offers a way for customers to check for product availability, size and color before they visit a Nordstrom store and get personalized recommendations based on the customer's profile — plus, those that opt-in can get personalized service by pushing their profiles, including purchase histories, pushed to in-store salespeople when they enter a store. 2) A.I. and Chatbots. Technologies powered by artificial intelligence are changing the brick-and-mortar landscape: Last year, Macy’s tested an A.I.-powered in-store shopping assistant/chatbot, powered by IBM’s Watson, in ten different stores. 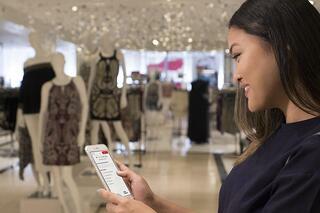 Called “Macy’s On Call,” the bot offers shoppers instant feedback — answering questions about specific products, provides store navigation, and connects customers to location-specific services. And in just six months, Starbucks will reportedly step ahead by adding a virtual assistant, called My Starbucks Barista, into its app. It will allow customers to place their order, and the bot sends it to a nearby store to make the drink, where the user can pick it up and bypass the long line at the register. to boost customer service and surpass their expectations — including handheld devices, inventory management technology and mobile POS tablets. With popular services such as BOPUS (buy online, pickup in store) requiring store associates who can respond quickly and seamlessly using multiple systems, it’s no surprise that investing in supporting those efforts is more important than ever — since according to JCPenney, 40% of customers who visited a store to pick up a BOPUS order also purchased additional items. 4) RFID-fitted fitting rooms. 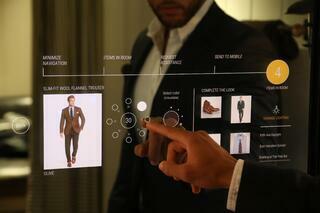 For the past couple of years, multiple retailers have been ratcheting up the options in their fitting rooms by adding IoT technology that make trying on clothes in the store more interactive and less frustrating. For example, Ralph Lauren has reportedly seen an higher-than-expected engagement rate since smart-mirror fitting rooms were installed — they use RFID technology to recognize the items a customer has brought in with them and show them on the screen. The mirrors show other available sizes and colors for each item, as well as recommended products based on what they brought in. Shoppers can also press a “call an associate” button which connects to a salesperson’s tablet on the floor. These days, with fierce competition online, offering a quality product or service is just not enough — brick-and-mortar retailers have to help bring an engaging experience into the store. This is easier said than done, of course: A recent study found that while 93% of retail executives say service personalization is a strategic focus, only one-quarter of consumers feel they receive a consistent, personal experience across channels. But, whether you can take advantage of the above-mentioned technologies or not, or whether or not you are currently driving sales online, the fact is that personalizing the retail in-store shopping experience has become vital to any retailer’s bottom line. Rich product content and engaging experiences, combined with prompt, consistent and personalized customer service, are what will make today’s retailers succeed tomorrow. Looking for additional ideas on how to create innovative digiital experiences for your customers? Listen to our On-Demand Webinar featuring Forrester: Paving the Path from Digital Dinosaur to Digital Disruptor.